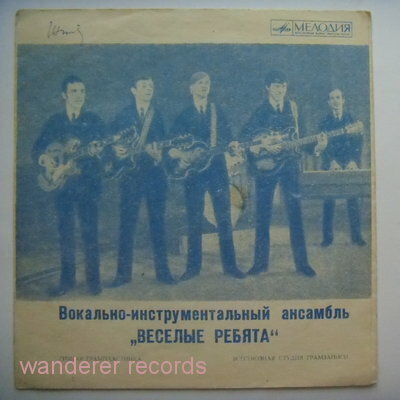 VESYOLYE REBYATA - 0002093 Soviet flexi, BEATLES covers. EX/POOR 2 of 4 tracks are THE BEATLES covers, record is bent, buy for cover. Small woc.